Iceland is the golfer's fantasy as it offers a wide variety of world-class courses and unbelievable landscape. Graceful trees, impressive lava formations, splendid views and green fairways. Sounds good, doesn't it? 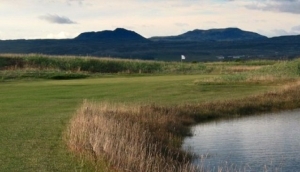 There are 65 golf courses in Iceland and 15 of them are 18 hole golf courses. The golfing season is from May to October. Playing golf in the midnight sun from June to July is something that every golfer needs to experience.